Down northeast of this provincial capital, 20 kilometers away is an off-the-beaten-path coastal town that deserves to be celebrated as a modest rural locality that was able to successfully establish, maintain and protect an exceptional ecological asset. The town, Prieto Diaz, named after two Bicolano martyrs—Fr. Gabriel Prieto (1853-1897) and Fr. Severino Diaz (1862-1897) when it got its independence from the nearby municipality of Bacon (now part of this city) in October 1903 ,is located along the coast of Pacific Ocean and home to about 20,500 people as of the 2010 government survey. It owns a 500-hectare shoreline forest canopy greened by various kinds of fully-grown mangrove trees that shadow a 300-hectare of shallow cove of brackish water whose bed is thickly covered with several varieties of sea grass that gracefully dance through the gentle current while serving as nesting, feeding and playground for hundreds of fish species. Covering nine of the municipality’s 23 barangays, the sprawling mangrove forest, representing a vibrant marine environment itself, serves as habitat of mollusks and birds, nursery of fish and crustaceans, and source of income for hundreds of families comprising the municipality’s dominant fisher folk community. The few thousand residents draw not only food from the seaside forest but also materials for shell craft that earn them some cash. Bigger income comes from eco-tourism as year round, high school and college students, scientists, environmentalists, government officials and nature travelers flock to the site by the hundreds to research or savor on the relaxing ambiance of the place. Imelda Baltazar, the Provincial Environment and Natural Resources Officer (PENRO) based here, said Prieto Diaz owns the credit of having served as a sound base in developing and promoting viable livelihood by combining agricultural and fishery production innovations while maintaining the integrity of marine sanctuaries and mangrove forests. Furthermore, its local government leads ecological and social transformation through its mangrove reforestation initiatives and compliance with the Ecological Solid Waste Management Act while linking with various agencies and entities in its resolve to abate the negative impact of climate change to its populace, she said. Although the municipality is classified as fifth in income class, making it one of the poorest among Sorsogon province’s 15 local government units, Baltazar said it is able to maintain a well-managed economy that sustains the productivity of natural endowments and the life support system needed to build a health society. “Well-conserved natural resources provide communities with a sustainable source of livelihood and income and, thus, improve their economic welfare -- thus, healthy environment and good economy ensure the quality of life,” she stressed. Prieto Diaz’s mangrove forest and natural sea grass garden is Bicol’s pride, beams town mayor Benito Doma when asked by the Philippines News Agency on Tuesday here how he feels about his municipality’s achievements in ecological protection and conservation. In 1999, he said, his town, for its mangrove forest that feature a wood and canopy walk and wide expanse of seagrass on a sprawling seabed whose water offers an exciting row-boating experience, was a recipient of the Best Community-Based Coastal Resources Management Program Award given by the United Nations Agency for International Development (USAID). By then, Doma said, the hundreds of thousands asparagus-thin, foot-long mangrove propagules planted back in 1994 have grown to six-inch-thick trunks 15 feet high, with branches extending up to 10 feet. 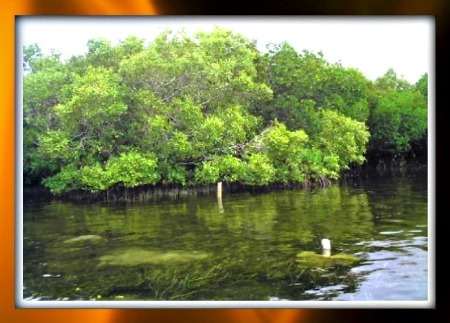 “We have 29 native mangrove varieties healthily thriving on the reforestation site. It was established and being maintained through SeaMancor (Seagrass, Mangrove, Coral), a local people’s organization contracted by the Department of Environment and Natural Resources (DENR) into a 25-year reforestation and stewardship program,” the mayor said. While the laughter of children bathing in the clean river mouth of the mangrove area on school day’s end was a pleasing sign of an environmentally healthy town before the establishment of the coastal forest took place, the municipality was not always as blessed. Doma said that in 1970s up to the 80s, townsfolk were cutting down mangroves for a few pesos a day from firewood traders. Beaches were dug up with hundreds of sandpits — furnaces to burn the wood into charcoal and dark fumes from the dirty operations sickened the residents. Devastation of the mangroves wiped out the natural food supply and the town sank into poverty and hunger, Doma said, until then mayor Joseph Yap sought help from the DENR which promptly studied the locale. Baltazar said Prieto Diaz’s story is about the right mix of political will, scientific know-how, and people’s support. The local officials campaigned for an end to forest ruin while the DENR saw the potential of replanting, making use of the 19-kilometer-long reef buffering the coast from hefty waves and the 300 hectares of underwater seagrass to hold the mangrove saplings upright, she said. Since then, according to Baltazar, conservation has become a habit of townsfolk as fishermen passing through the replanting zone on bancas dutifully scoop uprooted propagules from the water and stick them properly into the seabed, knowing that reforestation is for their own good. Today, Doma said, schools as far as Ilocos and Davao are retelling Prieto Diaz’s story while science high school students and college biology majors have been coming for week-long field trips to study mangrove flora and fauna.